IASC's Larry Hinzman says a joint statement committing participating nations and Indigenous groups to work more closely together on Arctic research is an important next step in scientific collaboration. A second high-level Arctic science meeting held earlier this year marked progress in international scientific cooperation in the region, according to the head of the leading Arctic science group, but more work remains to be done. 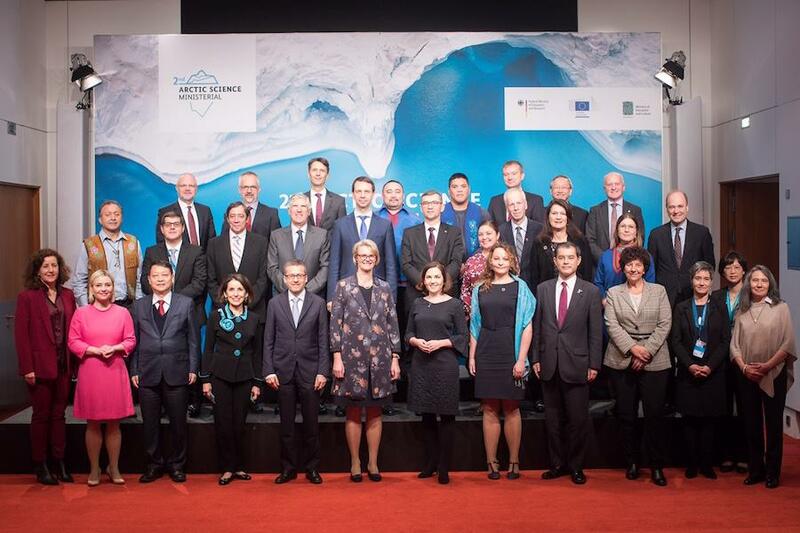 The eight Arctic nations, 15 other countries, the European Union and six Arctic Indigenous organizations signed a joint statement committing to work more closely together as a result of the Second Arctic Science Ministerial that took place in October in Berlin. The goal of the meeting was to scope out potential for supporting and enhancing Arctic science through increased cooperation, building on the work of the First Arctic Science Ministerial from 2016, which the statement said “boosted the significance and visibility of Arctic science” internationally. With the help of an integrated approach to Arctic science, “we can improve efficiencies, address societal needs, and address the consequences of change,” said Prof. Larry Hinzman, President of the International Arctic Science Committee, a non-governmental, international scientific organization that has as its mission to encourage and facilitate cooperation in all aspects of Arctic research. Hinzman welcomed the “strong, unified, and cohesive statements with respect to processes that are, in some cases, occurring outside Arctic states’ borders,” that the statement conveys. “The prevailing attitude of the ministerial was that understanding the Arctic is in the best interests of all nations and all our peoples, but that it will require a collaborative effort and investments from many cooperating entities and agencies,” he told High North News. Hinzman also applauded the participants of the ministerial for choosing the right topics. Hinzman also highlighted the need for continued efforts and spoke about areas where gaps remain. “The Arctic research community is very supportive of an increased, coordinated, and sustained effort to increase observations in the Arctic. We need an observing system funded by multiple nations and organizations to enhance and optimize the millions already invested in Arctic research and observations. Without an integrated view we cannot properly plan, or anticipate, the future,” Hinzman explained. Hinzman also praised the format of the Second Arctic Science Ministerial with the Arctic Science Forum on the first day and the ministers’ meeting on the second. “All components of the ASM-2 emphasized coordinated international scientific cooperation and advancing understanding of Arctic changes. These were the concerns of the Arctic research community and were discussed in the Arctic Science Forum. Those concerns were reported to the ministers and are reflected in the joint statement,” Hinzman said. “It was encouraging to see the unity in concern and appeal for collaboration among scientists and Indigenous groups during the science forum. It was gratifying to see that same unanimous desire for international collaboration among the ministers and it is very meaningful that all participating governments committed to promoting these principles by signing the joint statement,” Hinzman concluded.